Phantom provides an all in one structured cabling solution for new construction projects. We will design and install all your low voltage powered services using top quality cables that are braided and shielded to transmit at high quality and fast speeds. Our installation will follow the electrical code and pass all inspections. Phantom Security provides an all in low voltage solution for homes, commercial buildings, townhomes, apartments, condos, offices, and much more. 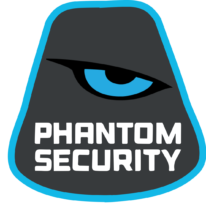 Unlike other low voltage contractors who are simply trained to run cables from point A to point B, Phantom has the distinct advantage of being a full service security company. This is an advantage because we are often the ones who are using these cables to install our products. But often times we find the previous contractor has used the wrong cable for the intercom system or placed the motion detector cable in the wrong spot. Having experience in both structured cabling and system integration, we know the best type and quality of cable to run for each application, the best location to place these cables, and the best products to use with these cables. Whether it's alarm system for a home or a telephone entry system for an apartment building, we will provide the professional cabling solution and end product integration. All of our products installed for a new construction project carry a 3 year warranty. If you are a builder/company we will come back once the property is sold and train the new owners on how to use their Phantom integrated systems.